Calling all silly sausages, good eggs and cheeky chops who love to get busy in the kitchen! Kids interested in cooking? That’s an interest which should be nurtured, imperative life skills and all that. The more confident they get, the more they learn, and the earlier they can cook for the family! 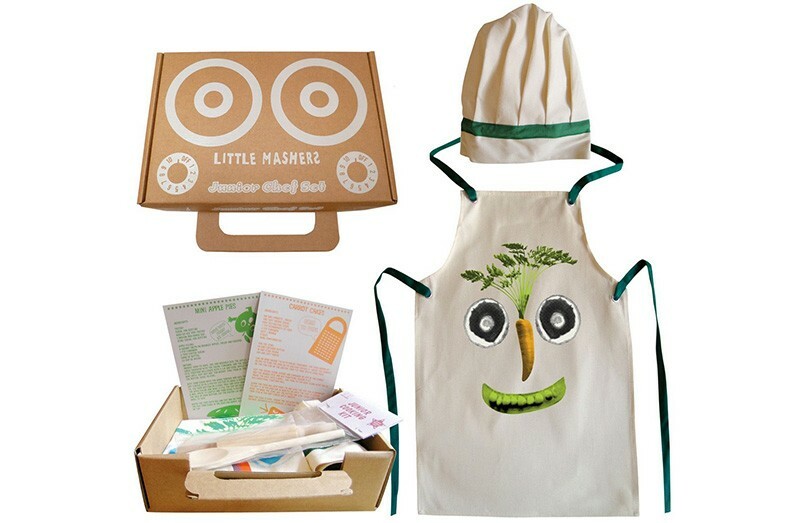 To get them on their way, kit them out with their very own Junior Masher Chef Set. Each set includes a chef’s hat, utensils, easy clean recipe cards and a rad apron – all packed in a super cute screen printed box. Choose from several apron designs, there’s sure to be one or two to suit your mini master chef! The Junior Masher Chef Set is priced $39 and available locally from Adventure Lane.